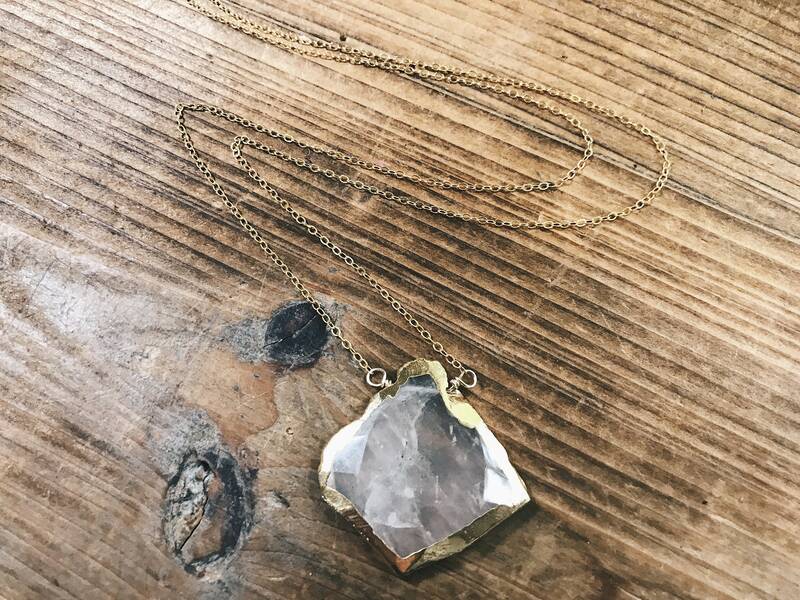 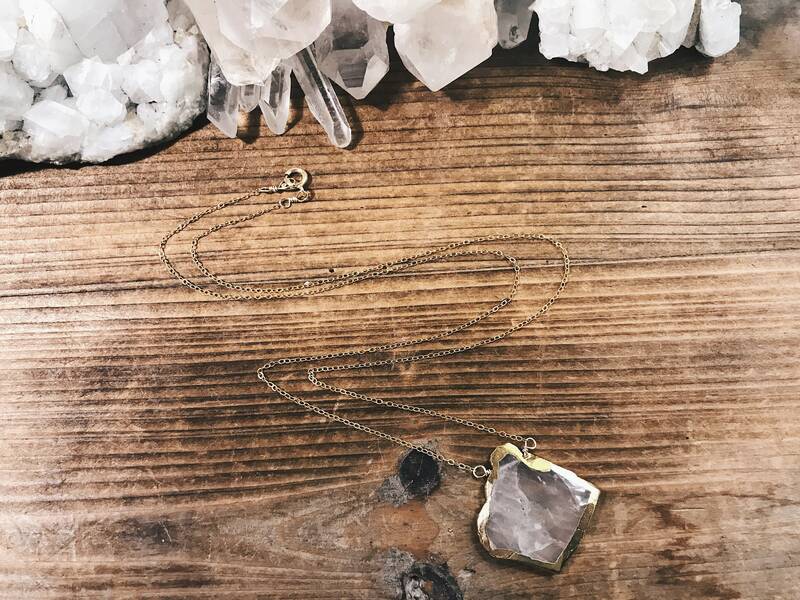 This rose quartz gemstone necklace is on 14k gold filled dainty chain. 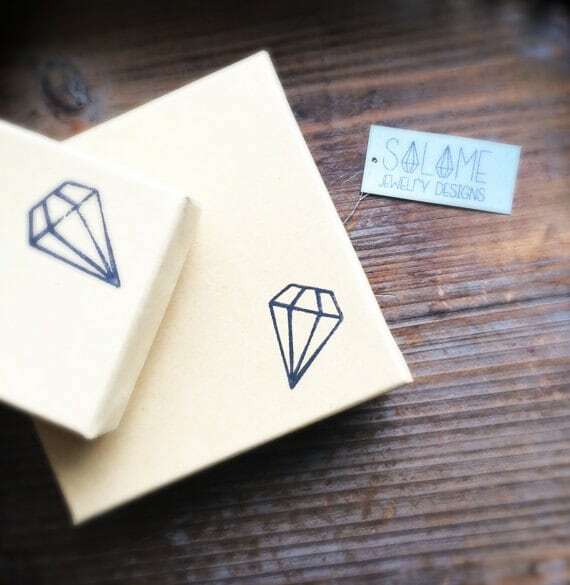 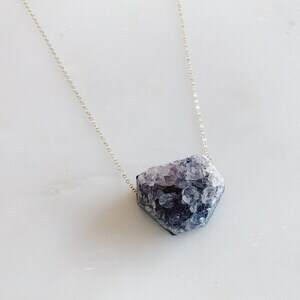 This gemstone is perfectly faceted and of so beautiful. 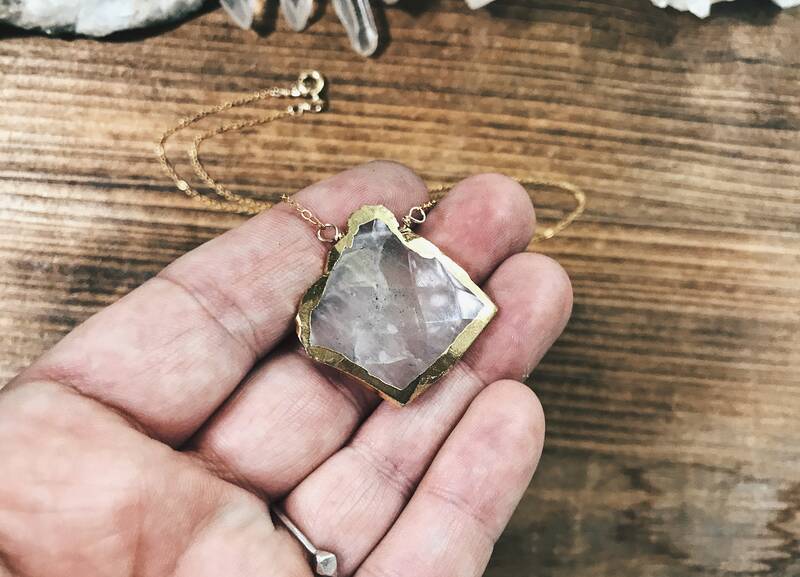 It harnesses so much gorgeous love energy it's perfect for everyday wear and stacking with other necklaces. 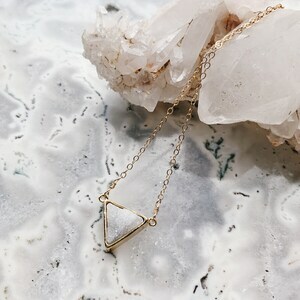 The stone had a gold electroform plating around the edge. 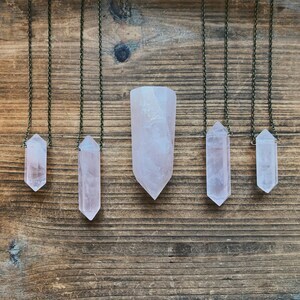 Rose quartz is the gemstone of love. 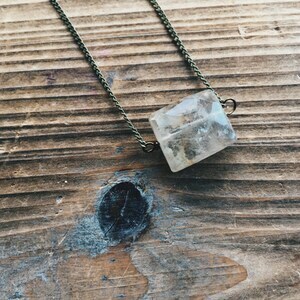 Gemstone A is the one shown already assembled, it is the stone you will get if you choose option A.
Gemstones B-G will hang the way they are laying with the top of the stone being where the chain is connected. 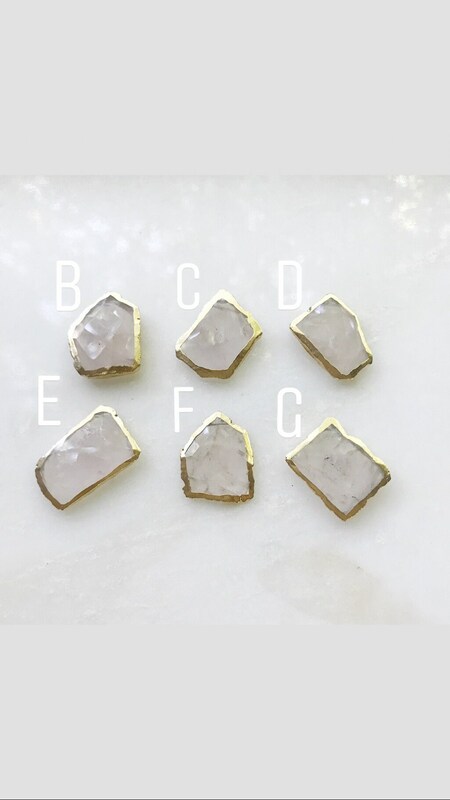 If you choose one of these options that will be the exact stone that you receive. 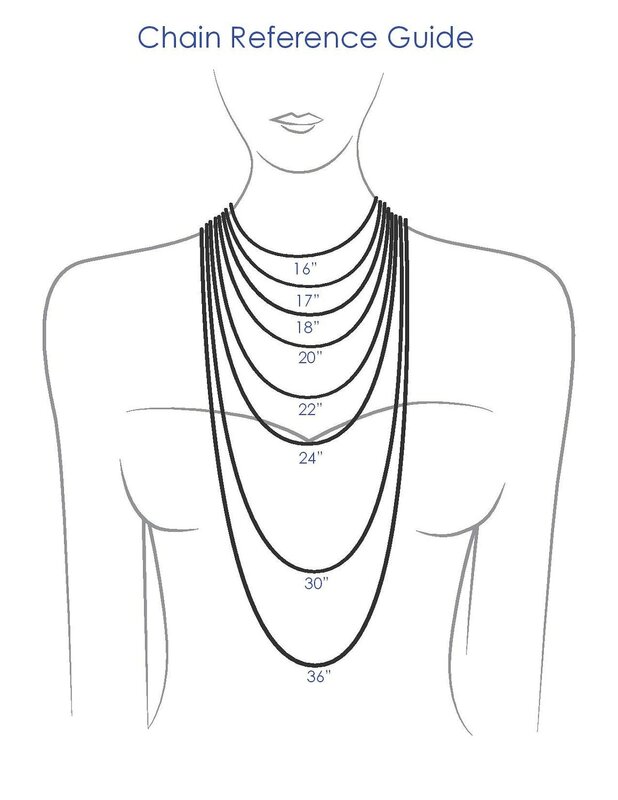 All the stones are similar in size to the original necklace shown.